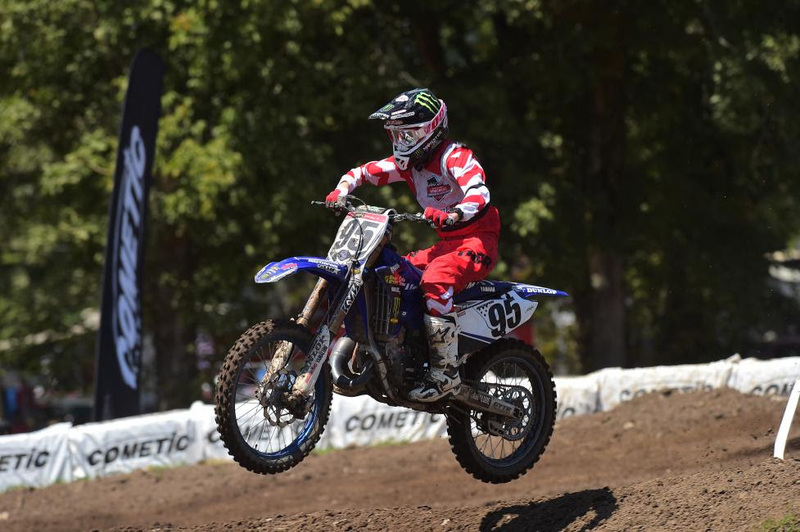 A week of bad starts led to spectacular rides for Monster Energy/Star Racing Yamaha’s Ty Masterpool, who had to carve up the competition on his YZ125 all week in 125 B/C and Schoolboy 1. After several sessions of start practice with Ryan Villopoto—one where he did a full hour of practice starts—things came around for the final day of racing on Saturday. Masterpool gated well and logged two more moto wins to grab two championships. Nathaniel Thrasher successfully completed a dominant week by sweeping all six motos of the Supermini classes, and with it two championships. Bryan Johnson, of Millsaps Training Facility, says there are days where Thrasher isn’t far off of Jordon Smith’s 250F times while ripping around on his supermini. Thrasher says he’s been putting in the work and knew it was finally going to come together at some point, and that certainly happened here at the Ranch. He’s a big kid so he’s about to get on full-sized bikes. If he keeps this roll going, he’s about to be one of the hottest prospects in the sport. Jordan “JJ” Jarvis piled on wins in the Women’s classes this year. She swept all three motos of Women’s 12+ amateur, edging her usual Loretta’s rival Jazzmyn Canfield each time. 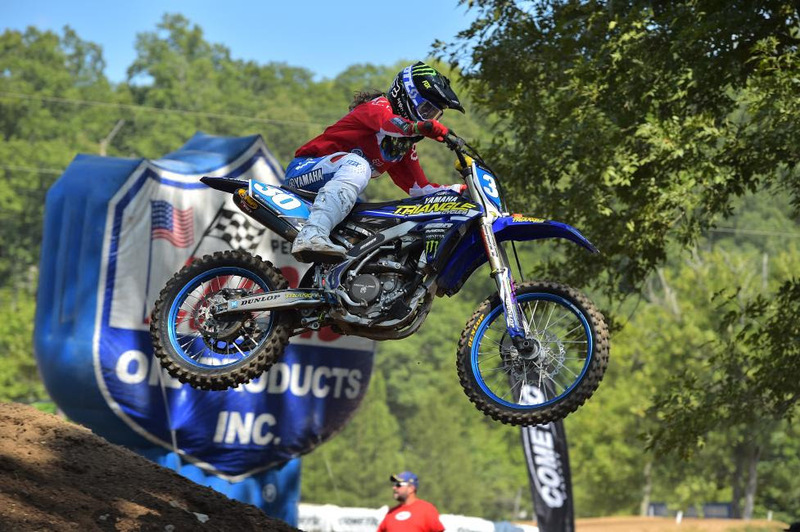 On Saturday, the professional WMX series rolled into Loretta’s and held a round of its championship, and Jarvis dominated again, going 1-1 to top Hannah Hodges and Shelby Rolen. The 17-year-old Jarvis definitely went to the next level this year. Also, shoutout to Taylor Allred, who overcame some drama (her bike was smoking on the final lap of moto one) to top Canfield in the Girls class. You can’t have a week at Loretta’s without some heartbreak, and today’s recipient was Riggin Smith in 250 C. Smith led the final moto and had the title in hand when he crashed hard in the sand. He was unable to finish the moto, so Mikael Savard won the title with 1-5-3 scores. Ryder DiFrancesco continues to roll through the minicycles ranks, grabbing two more titles this year in Mini Sr 1 and 85cc (9-12). That’s six AMA National Championships in his career. It wasn’t as easy as it looks, though, because Ryder D caught the flu on Thursday and wasn’t even sure he could race his final motos due to severe stomach cramps and, well, are we allowed to say it was coming out of both ends? He dug deep in his third motos, taking a title yesterday and then another one this morning. Stay out of the creek and the pool, Ryder. We already knew winning was contagious, but we hope everything else is not.